- Fixed 'no data to upload' reported when one of the projects was failing and re-upload enabled. - Improved upload to OpenCellID on faulty devices. - Added shortcuts to start/stop collector and upload directly from launcher icon on Android 7.1 and newer. - Added warning if battery optimizations are enabled which may influence reliability of collected measurements. - Added option to request upload cancellation using broadcast. 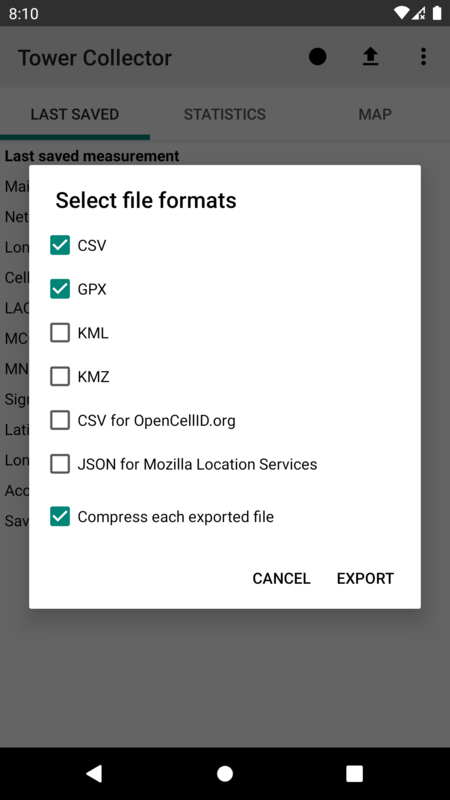 The OpenCellID.org project goal is to create a worldwide open source database of mobile cell locations. 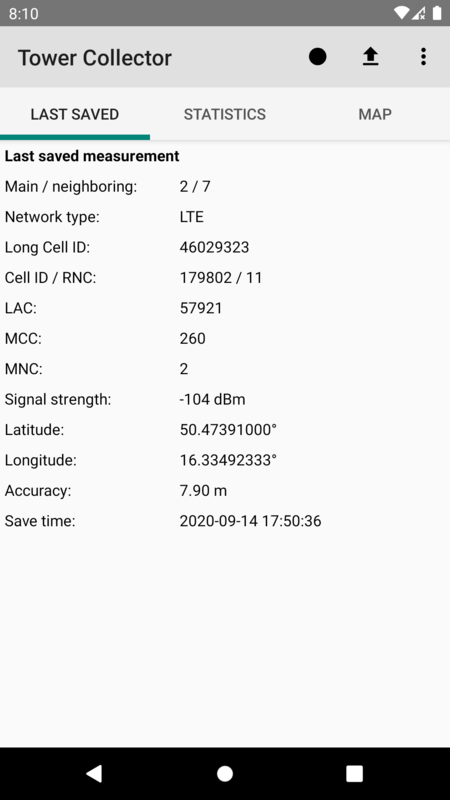 Tower Collector gives you opportunity to contribute in OpenCellID project by uploading cell towers locations from your area. Collected data can be used to quickly locate devices without enabling GPS. 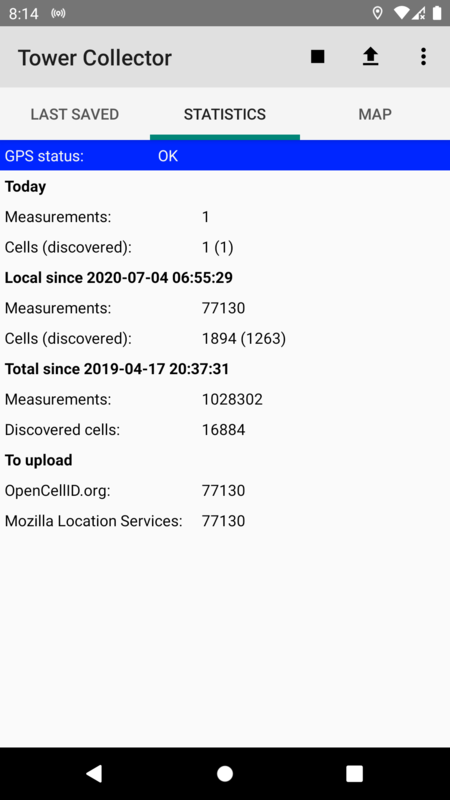 Mozilla Location Services (MLS) is an open source project, aiming to create a worldwide database of wireless network infrastructure identifiers (cell towers, WiFi access points, Bluetooth beacons) correlated with GPS locations. Aggregated cell location set is available under the public domain "Creative Commons (CC-0)" license. This application does not collect, store or send any information which can be used to directly identify user, device which is being used or any other personal information. BUG REPORTS AND FEATURE REQUEST VIA EMAIL OR GITHUB ISSUES PLEASE.